When my son was 4 ½, his dad and I divorced after being separated for about a year and a half. I was the primary custodial parent, but my son did have contact with his dad. However, when my son was 12, he and his dad stopped seeing one another. My son had asked his dad to address some serious issues between them, and his dad responded by pulling away. Initially, the separation was very good for my son. He and I finally had the space for my son to have a more “normal life.” Soccer, Red Sox games, movies and leadership conferences all became easier to take part in for my son with his life unencumbered by the issues with his dad. 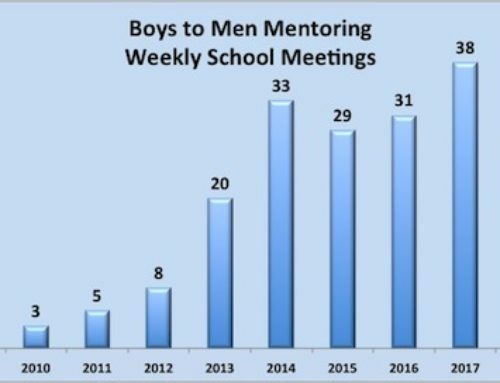 Realizing that my son needed good male role models in his life, I sought out organizations and activities that allowed my son to interact with male mentors. I found Boys to Men New England when he was 12, and over time, BTMNE became a critical part of the emotional foundation for my son’s life. One part of Boys to Men is an annual Rites of Passage teen weekend workshop in August. My son participated in the workshop when he was 13, and staffed it when he was 14, 15 and 16. When he was 15, it became clear that my son was feeling deep pain from what I have come to call “the father wound.” Even though he was part of a community of men and boys during the workshop, the absence of his father cut deep. My son started to ask questions about who his father was and who he might be since his father provided half of his genetic material. My son wondered why his father might disappear and leave his son. And my son also felt the pain of his parents’ divorce and estrangement. No matter how hard I tried to support my son’s interests and find resources that also supported his interests, there was a huge void inside of him that I could not fill: the father wound. Over time, I came to realize that no matter how good a mom I was, no matter how hard I tried to find resources to help my son and to help him learn to help himself, because I was his mom and not his dad, there were many things I just could not do. A teenage boy looks to men in his quest to determine what it means to be a man. I was not a man. A teenage boy needs to hear the story of other men’s journey to manhood. I did not take that journey as a woman. The mentors in Boys to Men had something to offer my son that I could never give him: the experience of growing up male in this culture, and coming to define the men they wanted to be through their experiences growing up—with and without the support and involvement of other men. As my son’s struggle deepened, I realized it was the other men he needed to talk to, not just his mom. Having a support group of men who knew him became invaluable as he started to face some increasingly difficult and painful passages in his own personal journey towards manhood, a journey that is still underway. It takes a village to raise a child, and the village must include male mentors and role models deeply committed to the best interests of each male child. 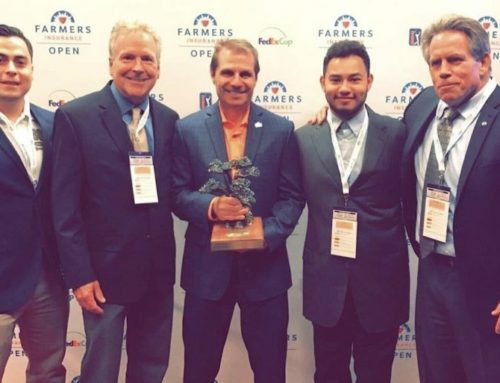 When my son feels connected to other men who care, his spirit grows. When my son feels isolated and alone, especially from other men, his pain grows. I am very clear I cannot do it alone, and I cannot successfully guide my son to manhood without the care, commitment and involvement of other good men. 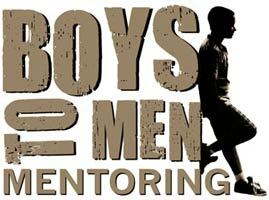 If you are a man who cares about boys in their transition to manhood, become a mentor with Boys to Men. There are many other boys like my son out there counting on you. And even boys who have two parent homes need a village that includes emotionally available men. Opening your heart to a teenage boy can be the difference between helping a young man learn to fly, and watching someone with great potential crash as his pain weighs down his wings. 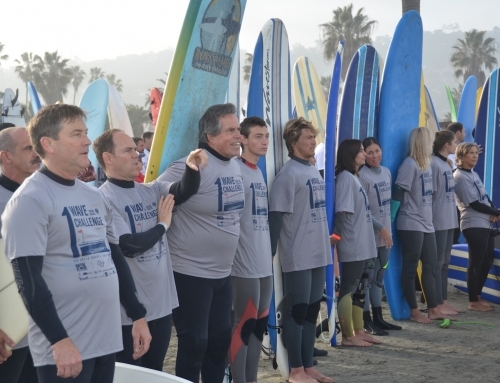 via Linda Marks: Even A Supermom Can’t Take the Place of A Dad | Over My Shoulder Foundation. I like the story. It feels nice to see a woman showing the importance of a man in a life a boy. I copied a portion of your story on our facebook page: Ladder of Hope Kenya. Some people came in support while others came out strongly to oppose. I am currently following boys to men to see if we could partner. I deal with mentorship programs in Kenya but wish I could get skill from boys to men because they have been in this field longer. Fantastic post. Thank you so much for writing it. I too am single mom of a boy, except my son has never had a father figure…He is 10 now. I would love to connect with you to talk more about your experiences. Please email me if you get this.